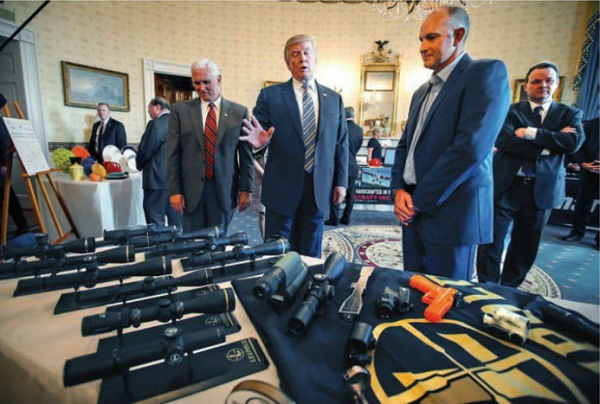 President Trump and Vice President Pence review Leupold scopes in the East Room of the White House on July 17, 2017, during the Made in America Product Showcase. (White House photo). As part of a program featuring American products from all 50 States, Leupold & Stevens proudly represented its home state of Oregon in the “Made in America Product Showcase” held July 17, 2017 in the East Room of the White House. As part of the event, Leupold presented rifle scopes and other optics products crafted in its Beaverton, Oregon, manufacturing plant. The product showcase, which included one product line from each state, was reviewed by President Trump, Vice President Pence, and members of Congress. Along with Leupold’s optics, a wide range of other products were on display including guitars (Gibson, TN), NASA Space Suits (ILC Dover, DE), golf clubs (Ping, AZ), cowboy hats (Stetson, TX), and even horse-shoes (St. Pierre, MA). CLICK HERE for list of products by state. 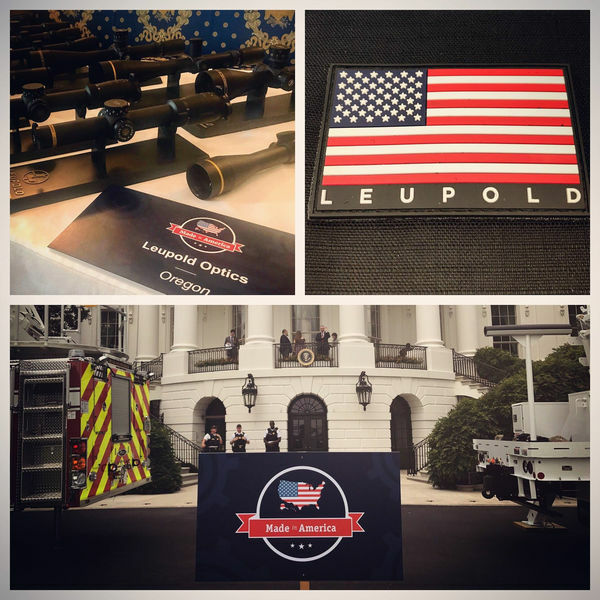 Share the post "Leupold Scopes Displayed at White House Made in America Event"